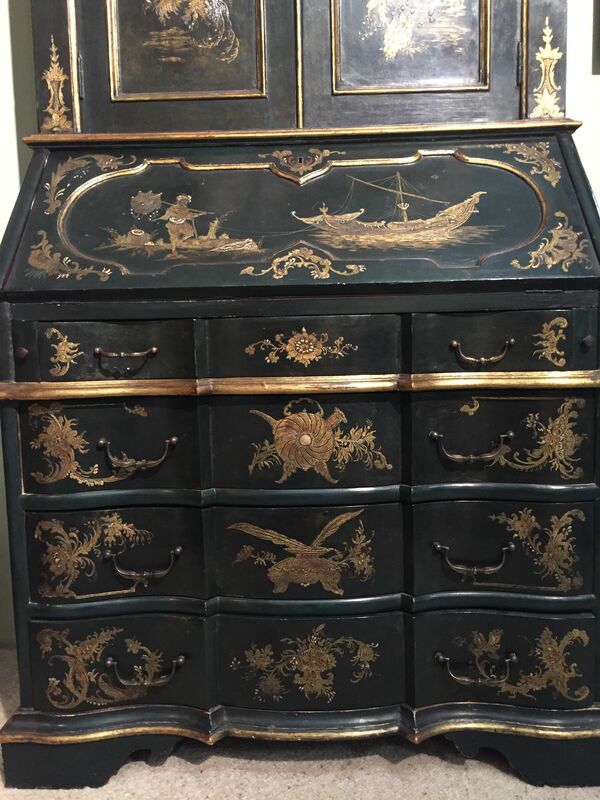 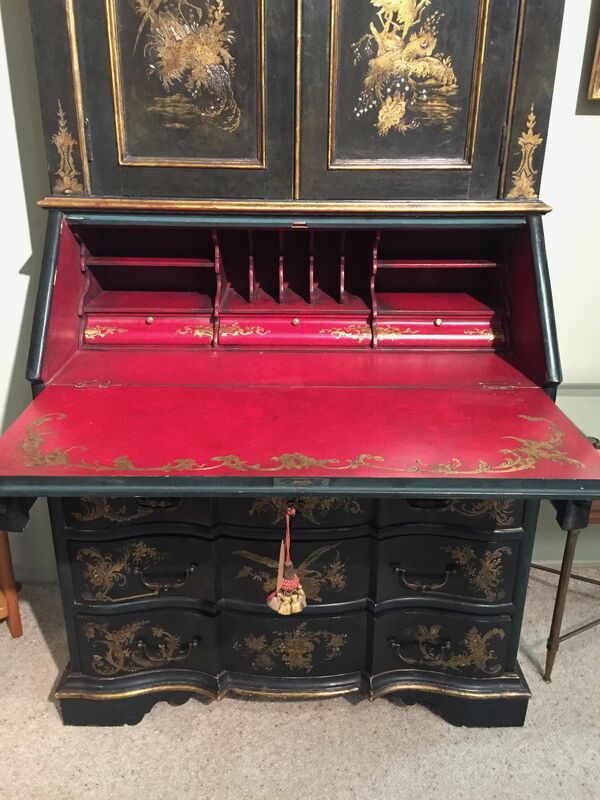 A stunning two piece George III style dark green secretaire bureau. 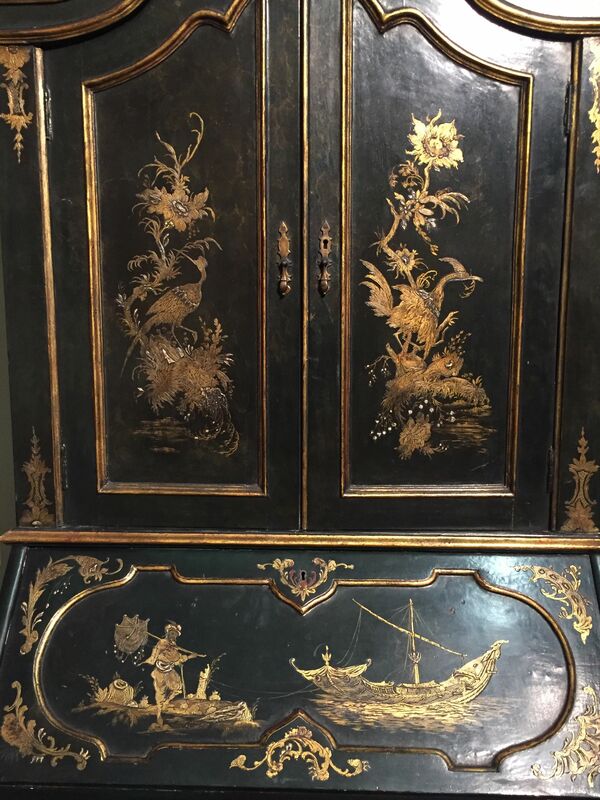 Wonderfully decorated in raised chinoiserie detail depicting figures, ho ho birds, boats, pomegranites, flowers and fauna. 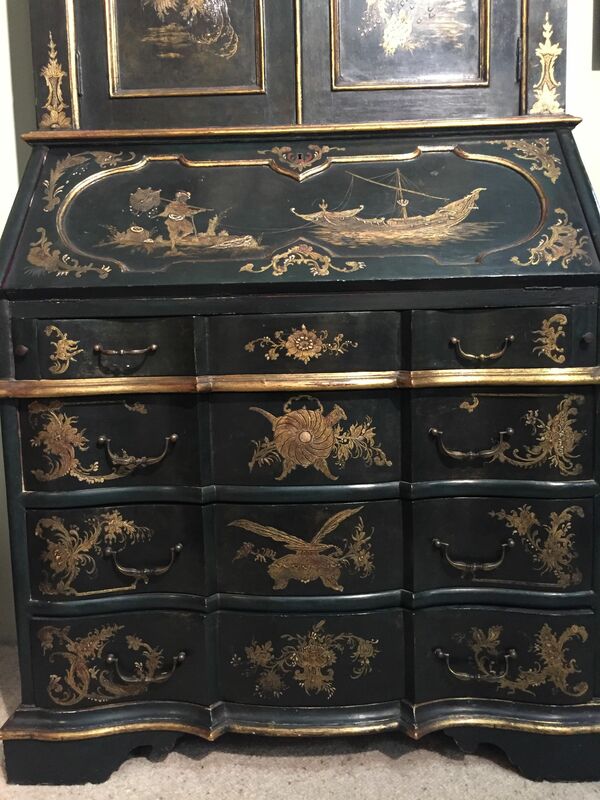 Lovely curved and serpentine detail to drawers. 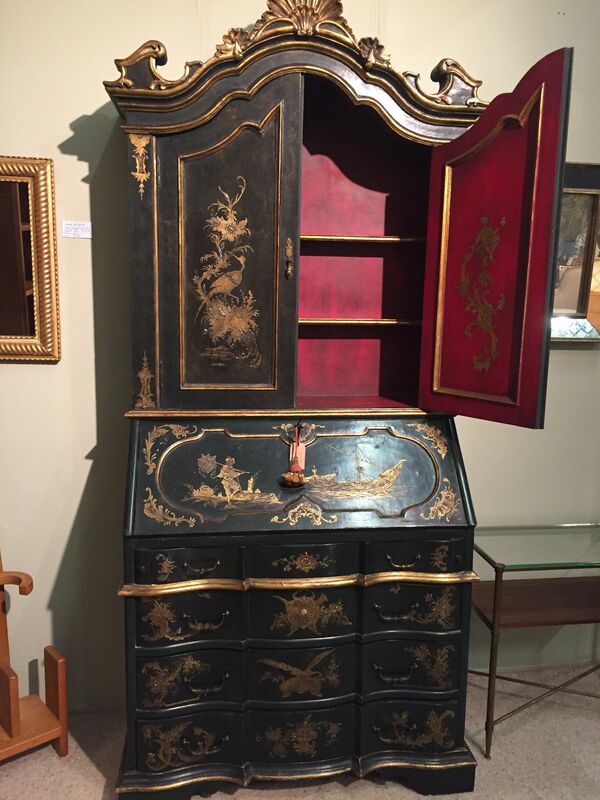 The interior fitted with drawers is decorated in a dark red with further gilt decoration. 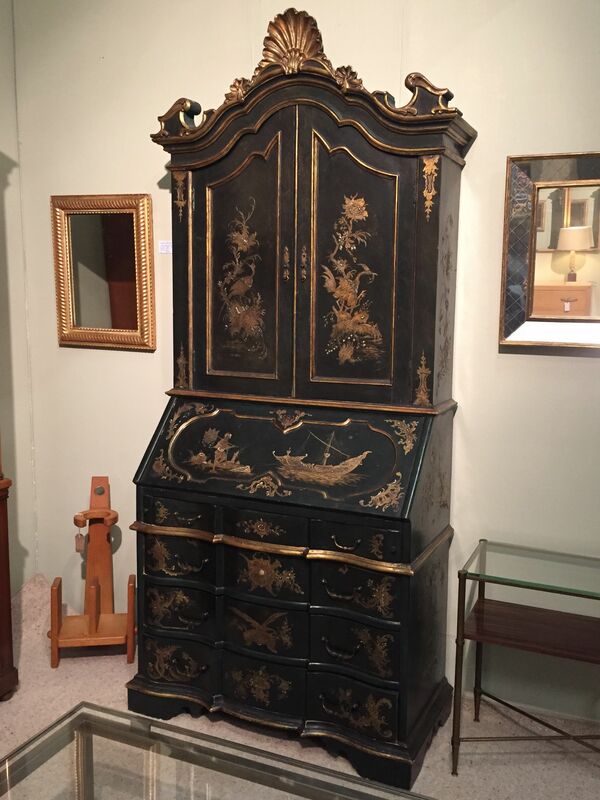 As well as a fully working drop down secetaire rest the top section has shelves for objects. 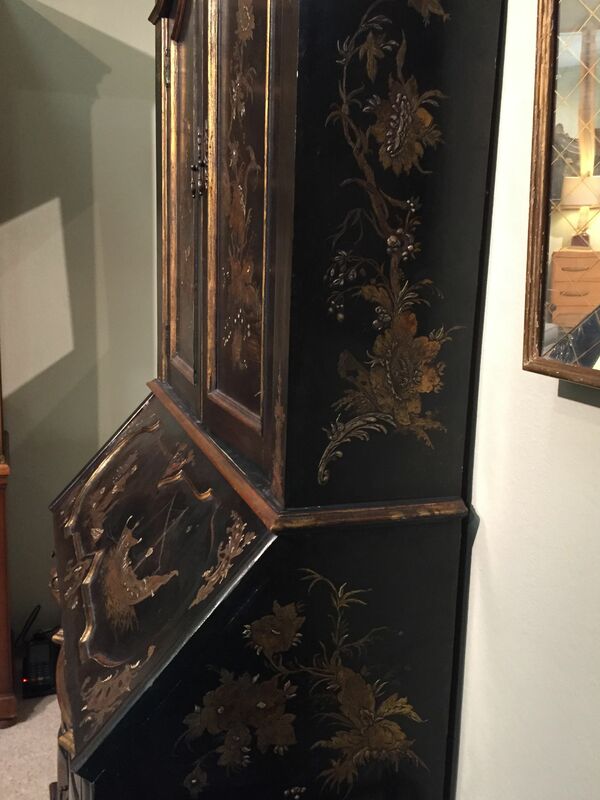 An elegant piece originally made in Spain c1960.